SaaS is dissipating to penetrate every tiny interaction and aspect of our lives. Everywhere we go, and on every device we use, we interact with SaaS. But the next step might be inherently more subtle, as new services crop up that are completely invisible to the user. These tools enhance existing SaaS products. It ranges from pure platform plugins such as the Trello one — which will work on Trello only — to services like Clearbit or Grammarly which make their core service available on several existing platforms instead of forcing their users to adopt a new interface. SaaS enhancers are like tiny super-useful packaged up pieces of functionality that exist within the web apps we already use. You could call them “integrations”, but they’re really something more than this. The term “integration” suggests some form of add-on to an existing service — these enhancers exist solely as an integration. Some examples Clement gave are Grammarly, Clearbit and several Trello add-ons. This idea that subscription services are penetrating more deeply into the parts of our lives where they add can add highly-specific value is reflected in a lot of thinking among VCs and creators. But what about those services that don’t require any user interaction at all? A category of SaaS that sounds altogether more… sinister. What do we mean by “invisible”? There’s a term that’s currently popular in the consumer world that you might have heard: Ambient Computing. Popularized by journalist Walt Mossberg, Ambient Computing is a term given to the increasing number of tech solutions we interact with seamlessly through voice control or whatever is the most convenient way at that time (usually without a visual interface). 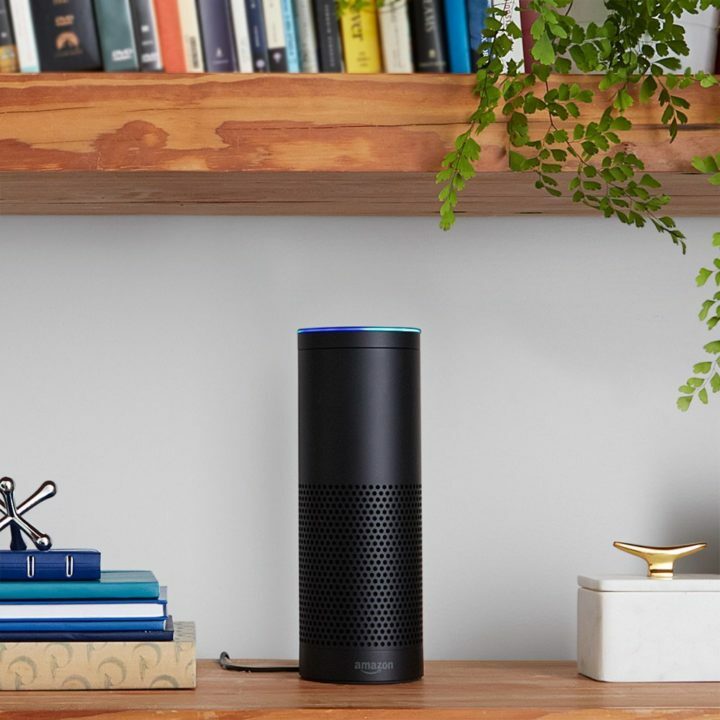 Products like the Amazon Echo with its Alexa voice assistant are the embodiment of the Ambient Computing concept. Alexa, in many ways, is omnipresent — all you need to do is call her name and she’s ready to carry out your commands (or just tell you the weather). In the B2B world, while Ambient Computing does offer some value (“Alexa, how’s my churn rate this month?”), services aren’t geared so much towards enhancing our lives. B2B services usually have the goal of improving some metric (“decrease your churn!”) or providing some critical function within the business (“deliver SMS to customers!”) or being a vital system of record for your information (“one place for all your customer data!”). The fact that we need to interact with and operate these services at all is proof that most software is just not good enough to achieve things by itself… yet. Allow me to explain. What does the perfect analytics platform look like? In this example, we’ve successfully cut out the part where users have to interpret data in the platform and discover insights by themselves. Now the machine is covering more of the value chain. If the goal of an Analytics platform is to find insights in data and take actions based on those insights, why do we need a human to be involved at all? Let’s let the machine adjust our pricing, optimize our Marketing campaigns. Hopefully we’ll never be at the point where machines will be firing Sales reps, but you get the idea. Thanks to advanced Machine Learning algorithms and other AI solutions, we’ll soon be able to replace humans in the vast majority of the value chain, meaning less human monitoring, analysis and manual optimization. These systems can exist in the background with little or no interaction. Invisible SaaS represents a fundamental shift away from focus on product engagement. Today, most measures of success for a business are based around measuring the level of engagement and interaction with users. This is more prevalent in the consumer world (think Facebook et al.) but also applies in B2B. The single goal of getting users to log into your product on a regular basis rules above all else. Lack of engagement is usually a huge red flag for churn. But perhaps this pushes us towards measuring a true indicator of value for the customer. Engagement is definitely not this, for most B2B apps. For example, people logging into ChartMogul on a daily basis are not necessarily getting more value from the product than those who log in more infrequently. In fact, most cases where engagement is used as a primary metric come from relying on advertising as a revenue model. Successful ad revenue needs high engagement, longer time spent in-app, etc. So in this new world, we need to re-define how we see success — perhaps towards a more direct measurement of “value add” to the customer. Templarbit (YC S17) passively monitors and protects your website from malicious activity. MailRoute – passively runs your email security for you. Are you building a product that’s completely passive, and doesn’t rely on user engagement? We’d love to hear from you and share your story! Let us know in the comments below.